Running on Pixie Dust: Hold Onto Your Tiaras - I'm Running Princess Weekend! Hold Onto Your Tiaras - I'm Running Princess Weekend! Well runDisney fans and friends, I'm excited to share that I'll get to cross another runDisney event off my bucket list! Look out Glass Slipper Challenge - I'm coming for you in 2017! Yesterday, my friend and I registered for the annual challenge which includes the Enchanted 10K on Saturday and the Princess Half Marathon on Sunday. Princess Half Marathon weekend is the ultimate girls running weekend in Walt Disney World. Each year, a different princess takes center stage. 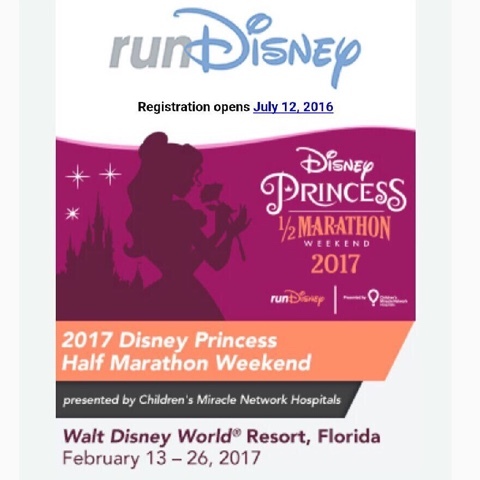 When I saw the ads for the 2017 registration coming from runDisney featuring Belle, I couldn't pass it up. Belle is my favorite Disney princess and Beauty and the Beast still remains one of my favorite Disney movies of all time. My friend, Christine, and I are already anxiously awaiting our big trip. We are planning to stay on Disney property - most likely at one of the value resorts - to make this a budget friendly trip. In fact, since we're flying in Friday and flying home Sunday, while needing to squeeze in the expo and two races, we're probably not even going to do park tickets. 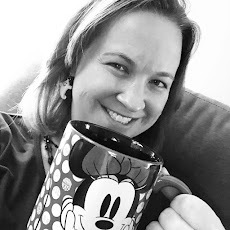 While there, our plan is to spend our free time at the pool and spending time exploring all the fabulous shopping and dining options in Disney Springs. As far as training, I'll need to roll right from the runDisney Wine and Dine 10K in November to start getting ready for race weekend. This will be the toughest running challenge I've faced yet with back to back race days of these distances, but if anything will motivate me, it will be a mouse! Who else will I see at Princess Half Marathon Weekend in February? ?